95% of all dents can be repaired fairly easy if the paint is not damaged. Very few dents can be removed or corrected without the help of a professional. At Autobutler we have garages that can handle all types of damages, and when you post a job, we ensure that you will only receive quotes from garages that can handle the work. Whether you are to blame for it, or whether it is another driver’s fault, a dent in your car is always hard to handle. Especially the first one you get, this can cause some serious heartache. In most cases, however, the car will be as good as new again, and no one will notice that you have been in an accident. If it is a minor dent, most body garages can make the dent disappear, without having the car repainted. 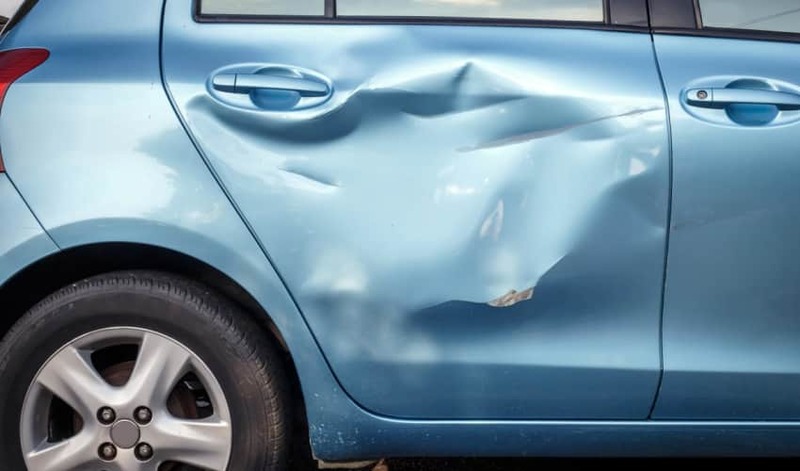 If it is a soft dent on a large surface, it can often be “pushed” back into place, while other dents can be “sucked” into place. If the dent is corrected, and the paint cracked, you will need to get a hold of a spray painter to fix the scratches or cracked paint. Who pays for correcting of dents? Dents is one of the more affordable damages, of course, depending on the nature of the damage and size of the dent. Since you often have to pay excess it will often be cheaper to pay the mechanic himself, than claiming on insurance. You may also lose your no claims bonus. If you have an older car and only have third party insurance, you have to cover the cost of the repairs. Here it is important to consider whether the repair is worthwhile. If it's your dream car or an old car, you will probably sacrifice more to repair than if it is just an ordinary car. Dents! How did it happen? Parking damage, car door damage, a direct collision, or our personal favourite, a wheelie bin! Stone chips from loose stones on the road, objects from trucks not covered as they should be etc. Do you know what a Tesco-dent is? A Tesco-dent occurs most often when a child bangs the door into your car in a parking space in front of a supermarket. It may also be someone running into, or just hitting your car, so there will be a dent. If you are lucky, you get a note on the windshield that says little more than "sorry". If you are unlucky, parents just drive away. Statistics say that it is only one in three who own up to causing damage while 2 out 3 just drive away.